by Richard Boyatzis February 21, 2017 Time to read: 4 min. How do people make changes in their behavior? These are questions my colleagues and I have studied for the last fifty years. Since 1967 we’ve used Intentional Change Theory (ICT) to understand what leads to lasting change. ICT is a multi-level theory that helps predict sustained desired change for dyads, teams, organizations, communities and countries. The “change” one makes may not just be in behavior, it also may be in a person’s habits, competencies, dreams, or aspirations. It may be a change in perspective, how someone looks at events in their life or how they feel in certain situations. When I say “desired,” I mean that the change is something that the person would like to occur. By “sustained,” I mean that the change lasts for a relatively long time. People pass through these discoveries in a cycle that repeats as the person changes. Let’s look at each of these discoveries. Just like champion athletes develop and use an image of themselves performing at their peak in preparation for competition, there is power in focusing on a desired end. 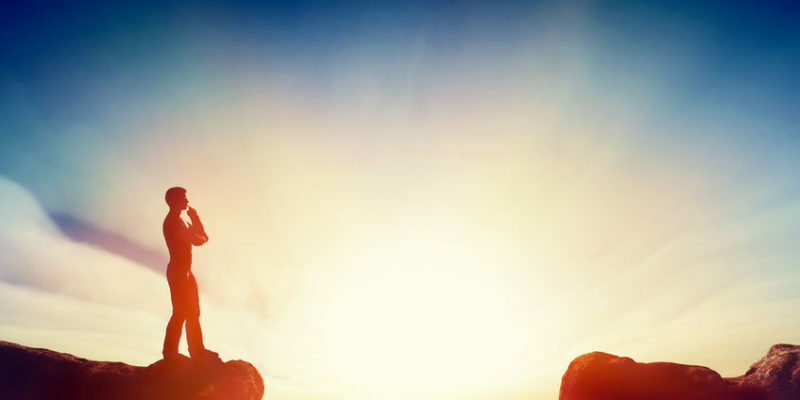 Our research shows that people develop a deep emotional commitment to making a change if they have created an image of their ideal self and use it in their change process. Hence, the output of the first discovery is a personal vision. Once you have a sense of your ideal self, it’s time to look at how that ideal compares with your current “real” self. By “real,” I mean the person that other people see and with whom they interact. For many of us, our self-image is some mixture of awareness of our own internal state and the feedback we receive from others about who we are. It can be challenging to get a solid grasp of our actual strengths and weaknesses, either because we don’t want to look too closely or other people are reluctant to let us know what they see. To really consider changing a part of yourself, you must have a sense of both what you value about yourself and want to keep, and what aspects of yourself you want to change. Where your ideal self and real self are not consistent can be thought of as gaps or weaknesses. The output of this second discovery is a personal balance sheet. 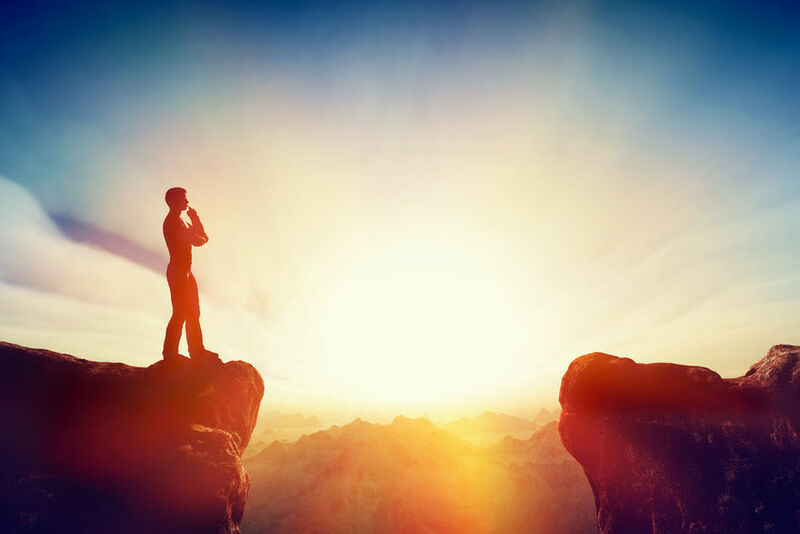 Once you have a vision for the future and an accurate sense of your current self, it’s time to develop a plan for how to move toward your vision. In this stage, the output is on creating that learning plan. Such a plan would focus on development, and is most effective if it is coupled with a positive belief in one’s capability and hope of improvement. A learning plan would also include standards of performance set by the person who is pursuing change. Once the plan is in place, the next step is to try it out. The fourth discovery is to act on your learning plan and practice with desired changes. Depending on your goals, this often means experimenting with new behavior. After such practice, you have the opportunity to reflect on what happened, and experiment further. Sometimes practicing new behavior can happen in a course or a controlled learning environment, but often it happens in real world settings such as at work or at home. Whatever the situation, experimentation will be most effective in conditions where you feel safe. Such psychological safety means that you can try out your new behavior with less risk of embarrassment or serious consequences of failure. Our relationships with other people are an important part of our everyday environment. Crucial to our ability to change are the relationships and groups that are particularly important to us. They provide the context in which we can see our progress on our desired changes. Often, our relationships and groups can be sources of support for our change as well as for feedback. They also can help us from slipping back into our former ways of behaving. There is a mechanism that allows movement from one discovery to another. Inside of us are two states, a Positive Emotional Attractor (PEA) and Negative Emotional Attractor (NEA). Arousing the PEA allows a psycho-physiological state of being open to new ideas – this allows movement to the next discovery. In contrast, the NEA is a feeling of obligation. This stops the sustainability of any change attempted because you’re simply not motivated intrinsically. In the Real Self, there should be an emphasis on your strengths, not on the development needs. This stimulates the PEA because it’s about building upon what you’re already good at and filling in the gaps, rather than dwelling on weaknesses. You can handle only a few developmental or change goals at a time, so remember to make your learning plan something you are excited about trying. Approach it with openness and curiosity, then build upon what you learn gradually. Intentional Change Theory has “five discoveries” for making lasting behavioral change. 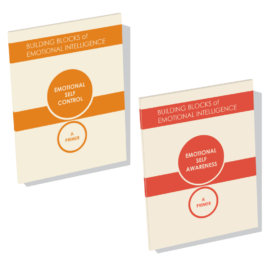 Our new Primers provide a concise overview of the Emotional and Social Intelligence Leadership Competencies of Emotional Self-Awareness and Emotional Self-Control, both valuable in creating intentional change. 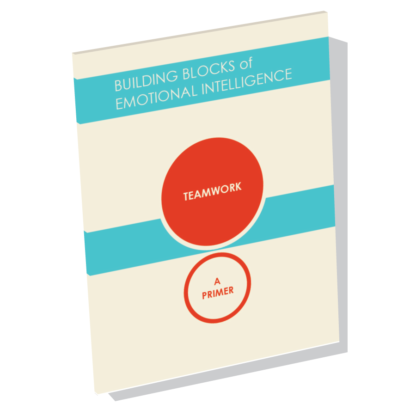 The Primers are created by Emotional Intelligence author Daniel Goleman, with several fellow thought leaders in the field of EI, leadership development, and research, including Richard Boyatzis, Vanessa Druskat, Richard J. Davidson, and George Kohlrieser. 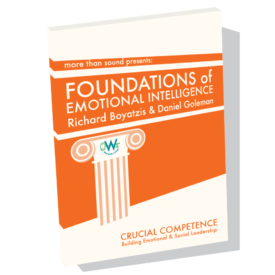 For even more in-depth information from Richard Boyatzis and Daniel Goleman, see our new video series, Foundations in Emotional Intelligence. This series explores the Emotional and Social Intelligence Leadership Competencies in theory, with examples for practice, and support from research. Richard Boyatzis is a distinguished University Professor in the Departments of Organizational Behavior, Psychology, and Cognitive Science at the Weatherhead School of Management at Case Western Reserve University. He also serves as the Academic Assistant of the Department of People Management and Organization at ESADE.